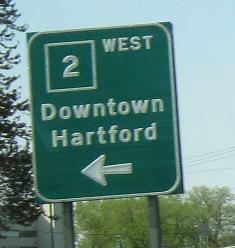 Pitkin St. EB in East Hartford and then turning left at that sign onto Darlin St. for another, at CT 2 Exit 3. 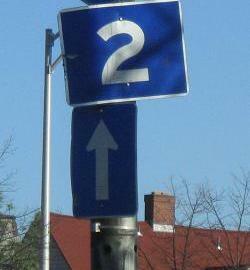 The infamous "blue 2", eastbound on Wyllys St. at Wethersfield Ave. Everything is in blue, but if you click on the top half of the image, you'll see a closeup of the state-name I-91 shield that shows it was erected by the Hartford Traffic Authority. 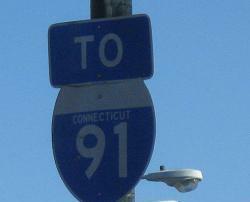 As good as the I-91 shield looks (relative to state specs), it's possible that this explains the CT 2 being blue. 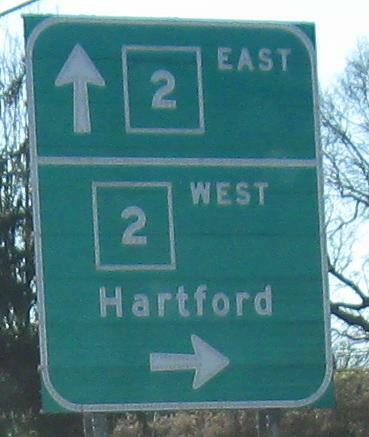 Hartford routes supposedly had a color-coding scheme in the 1950's and possibly into the 1960's, although unlike the similar systems in Arizona, Florida, and Providence, there is no proof that this one ever existed. 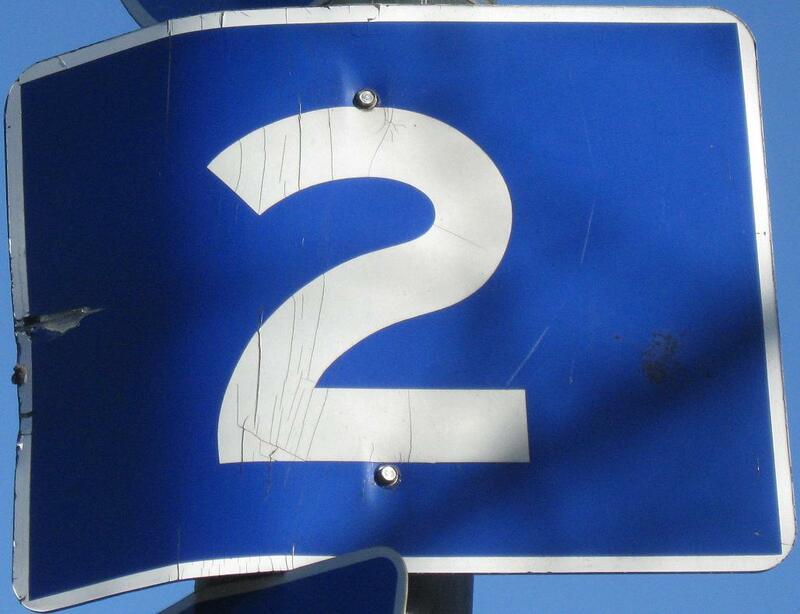 If it did, it probably had a blue 2. 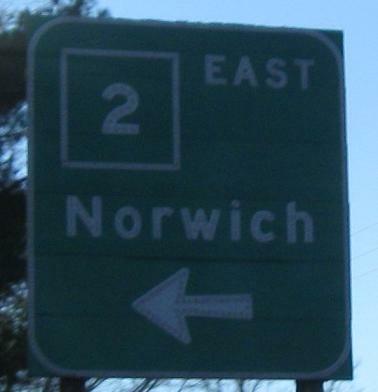 So either this shield is 40 years old and wears its age well (a possibility), or it's somewhat newer than that (say 1970's or early '80's based on the 91 shield) and an error caused by someone in the city remembering the way things used to be, or digging up an old shield spec. I'd lean toward the latter. 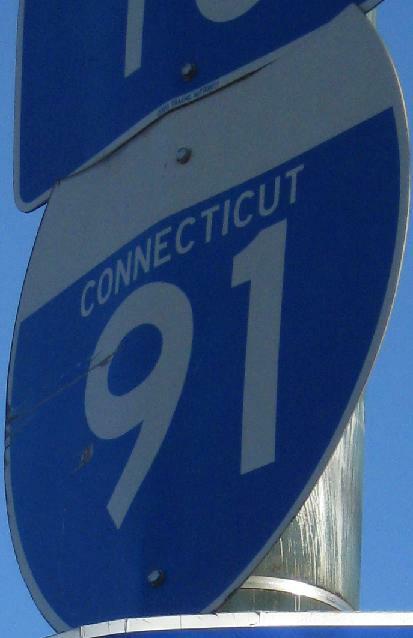 As I said, you can click on the top half of the image for the I-91 shield closeup, and you can click on the bottom half for a CT 2 shield closeup. 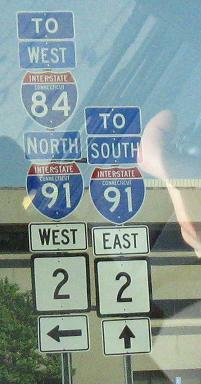 High St. SB at CT 2 Exit 5A.